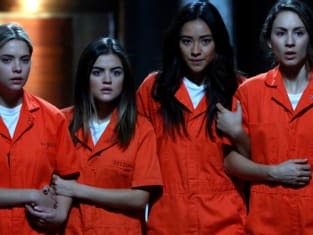 The liars are faced with their most horrifying A moment to date when they are locked up in a life size dollhouse, while everyone else tries to find their location. Discover what happens when you watch Pretty Little Liars online! Orange is the new black on Pretty Little Liars? The gals are all dressed in it for this photo. This is a Pretty Little Liars photo from the episode "Welcome to the Dollhouse." It's a game-changing hour of television. 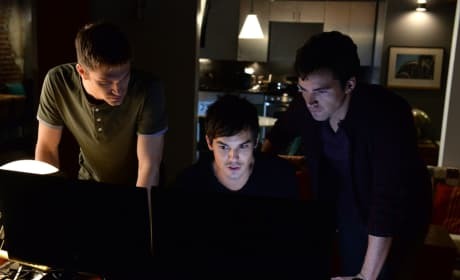 When you watch Pretty Little Liars online, you will finally get the answers you have been waiting for when A is revealed. Tune in as the liars confront A, but will they live out of the finale? Watch online now!